Home ICC World Cup 2019 India v/s Pakistan at ICC World Cup 2019: game after the Pulwama attack. 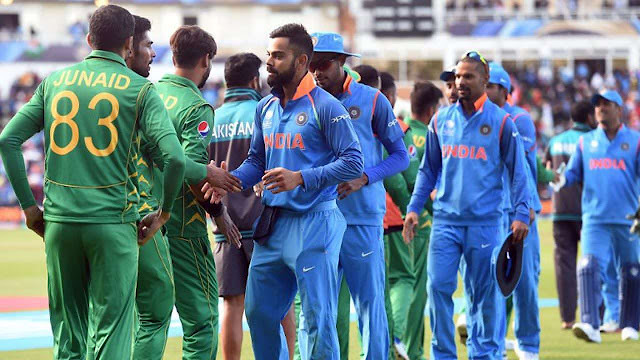 India v/s Pakistan at ICC World Cup 2019: game after the Pulwama attack. Following the Pulwama terror attack that left 40 Indian CRPF personnel dead, emotions have been running high across the country. Indian cricket fans have been no exception to this and there is a growing clamour for the Indian cricket team to boycott its match against Pakistan at the ICC World Cup 2019, in Manchester on June 16. From former cricketers to politicians, several voices have spoken on the matter, and the general consensus has been that terror and cricket cannot go together. Harbhajan Singh: The former India off-spinner said that country comes first and India should avoid facing their arch-rivals in the World Cup. There is no need for any relations with Pakistan, let alone cricket, Harbhajan told India Today. Don’t play the World Cup match with Pakistan on June 16 — country comes first for all of us and we are all standing with our forces, he said, adding, Pakistan has been promoting cross-border terrorism and this attack was unbelievably shocking. Former BCCI secretary Sanjay Patel spoke to The Indian Express and said, How can you expect India to play Pakistan at the time we have lost so many of our brothers in these cowardly terrorist attack. I am of the firm view that India should not play Pakistan in the coming World Cup. If we play the World Cup, then it’s clear that game is bigger than the country’s image. For me, India is first and it’s not only me who has such a sentiment. Ask any Indian now, and they will be of the same view. Cricket will only take place if terrorism is stopped. I hope the current COA and BCCI takes note of it. There is always a limit to everything and this time all limits have been crossed, he added.